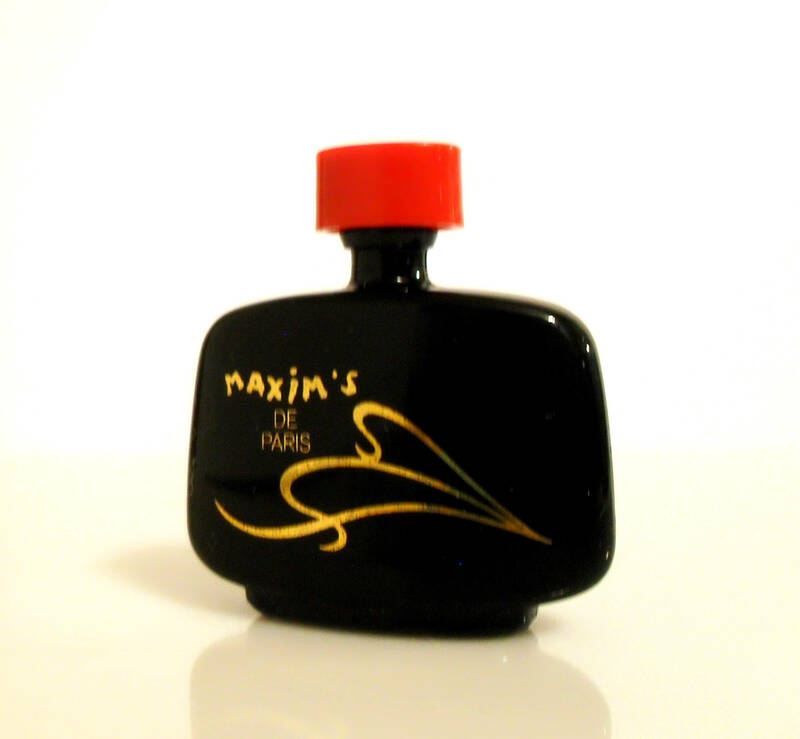 Vintage 1980s Maxim's de Paris 0.14 oz Pure Parfum Mini Miniature PERFUME. Bottle stands almost 1.75" tall. 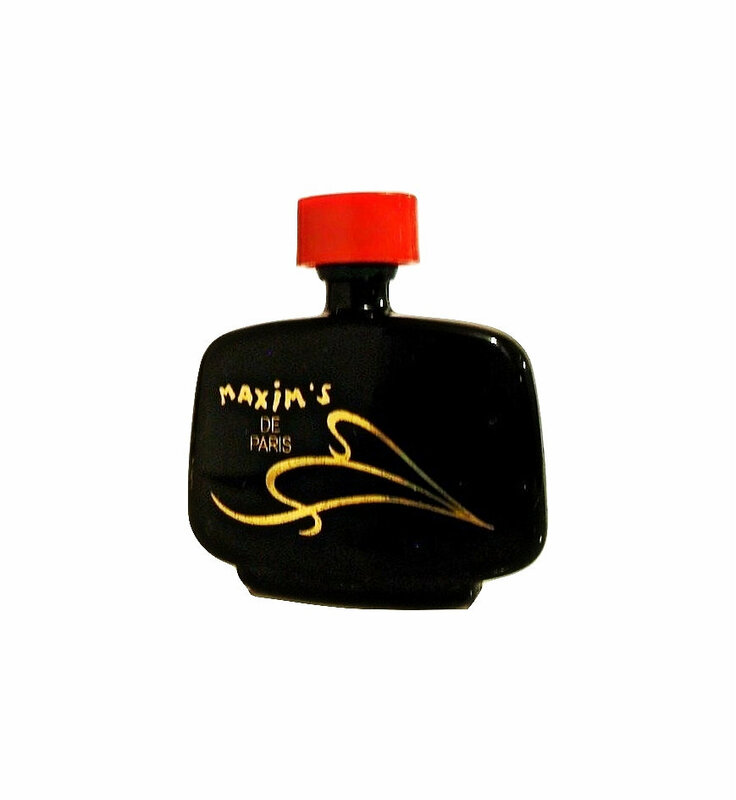 The bottle feels full - however, the bottle is opaque black glass so I cannot see the actual fill line. Batch code is 90505. 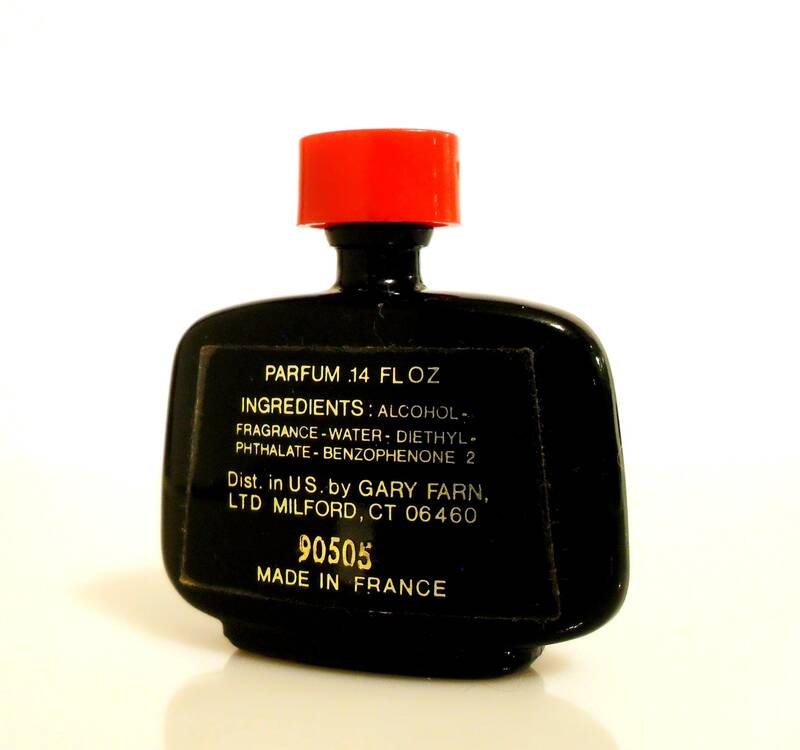 Launched in 1984, it is classified as a fresh green floral-oriental fragrance for women. Top notes: hyacinth, mint, melon and cassis.